Sunday 16th June is Fathers Day! Show the man of the house, how much you care. 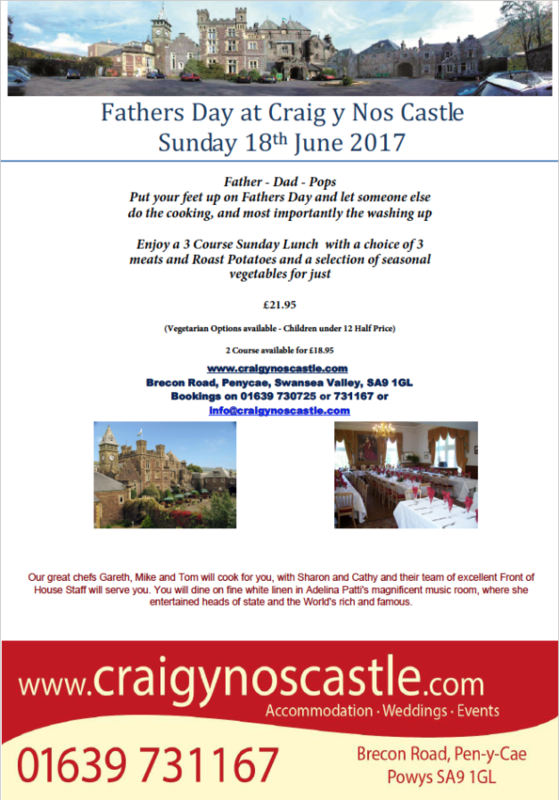 No more cooking over a hot stove today, and no washing up either when you join us at Craig Y Nos Castle for our annual Fathers Day Sunday Lunch. See http://www.craigynoscastle.com/fathers-day-2019.html for a typical menu and booking details or call the number on this page to book the current year.